Chef Arnone has understood the importance of food from the time he was a young child, watching his grandmother cooking for the family to working at Dunkin' Donuts at age thirteen. His culinary passion continued to grow even while he was receiving his BS in Economics in SUNY Albany, working in local eateries. After college, Chef Arnone worked on Wall Street as a stockbroker, expanding his knowledge of business. But even as he succeeded in the financial sector, he knew he would return to his true passion - cooking. 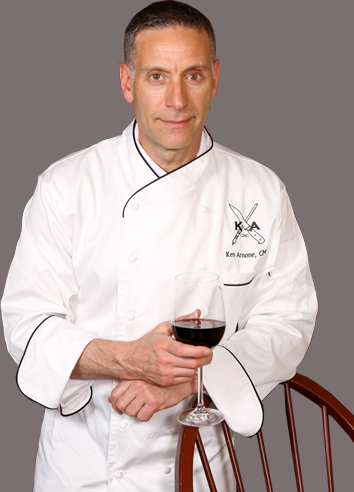 Chef Arnone went on to graduate from the Culinary Institute of America with honors. He has traveled the country, exploring the cuisine of many regions. He settled back in New York City at the prestigious Marriott Marquis Hotel. Returning to his alma mater, the Culinary Institute of America, as a professor, before going on to run one of the school's most successful restaurants - Caterina de' Medici. Always pushing himself, Chef Arnone became a Certified Master Chef in 2003, one of only 61 in the country. In 2009 he joined the ranks of World Association of Chefs Societies Global Master Chef.